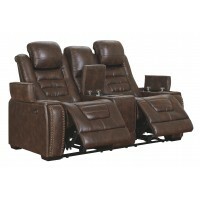 Need a comfortable area for hours of gaming? 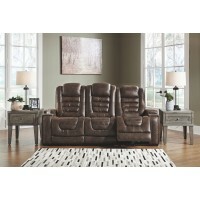 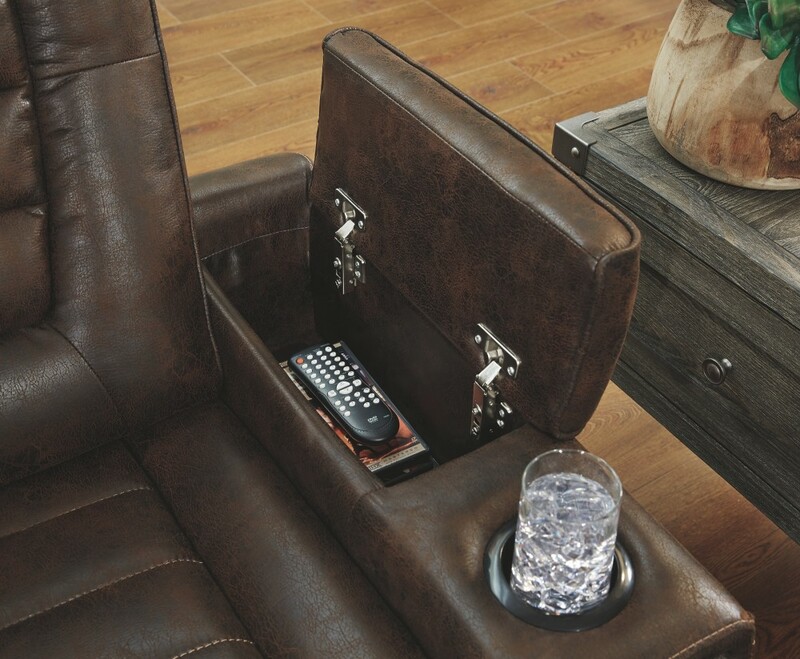 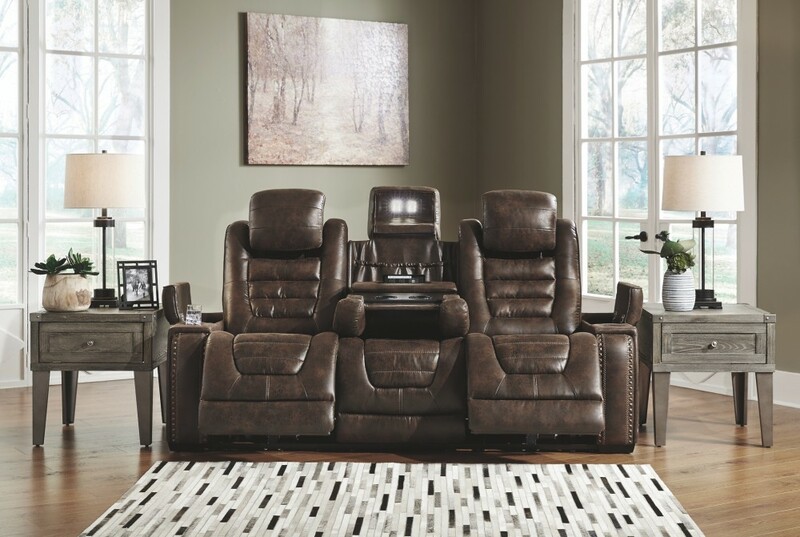 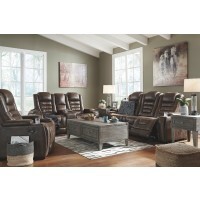 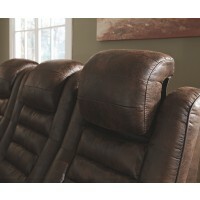 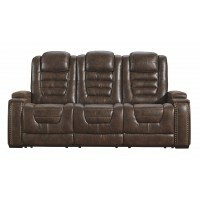 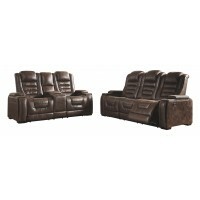 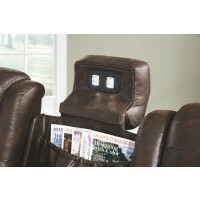 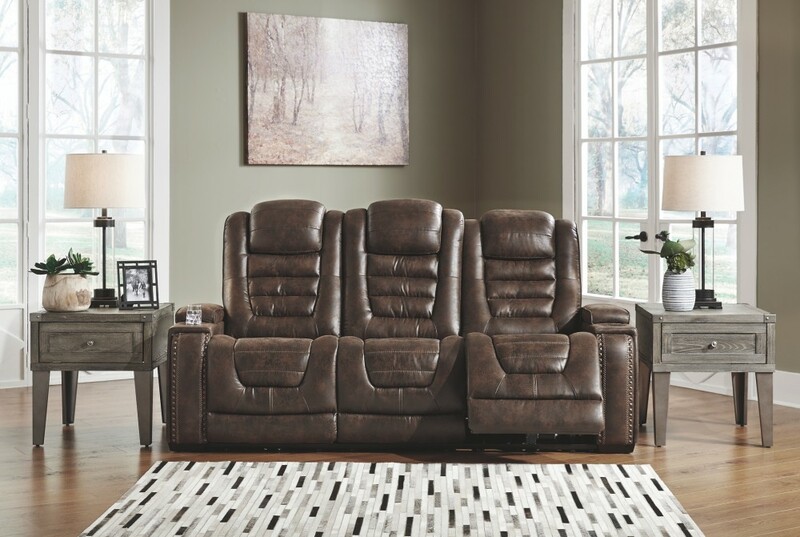 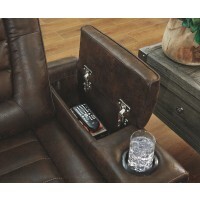 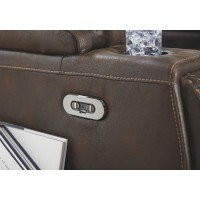 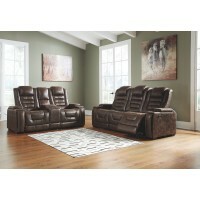 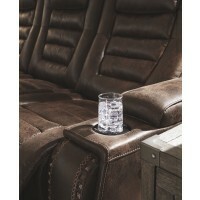 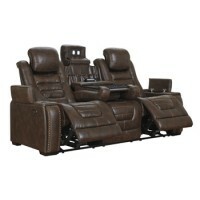 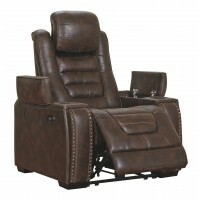 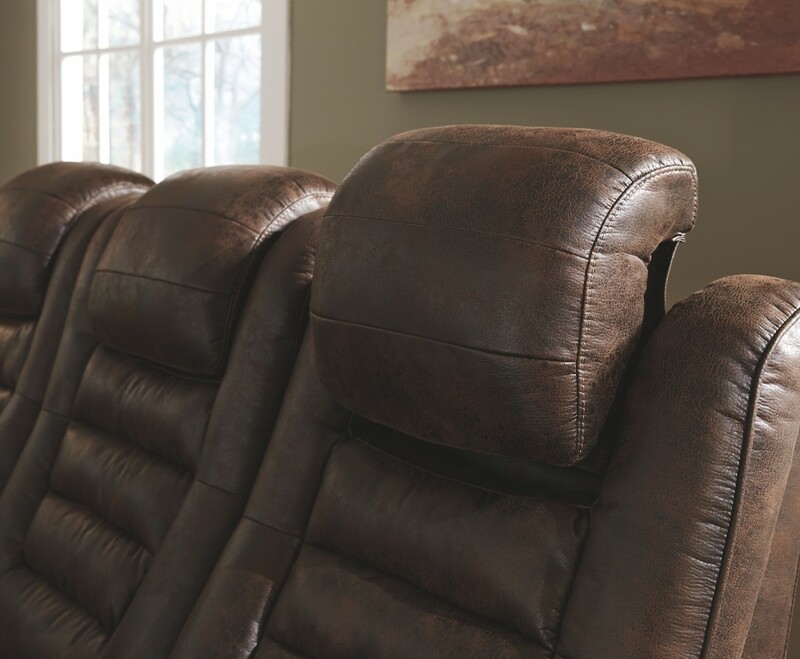 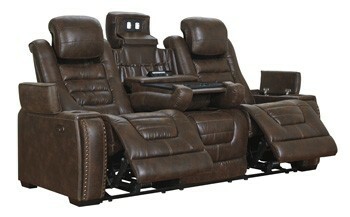 You'll find that space with this power reclining sofa with adjustable headrests. 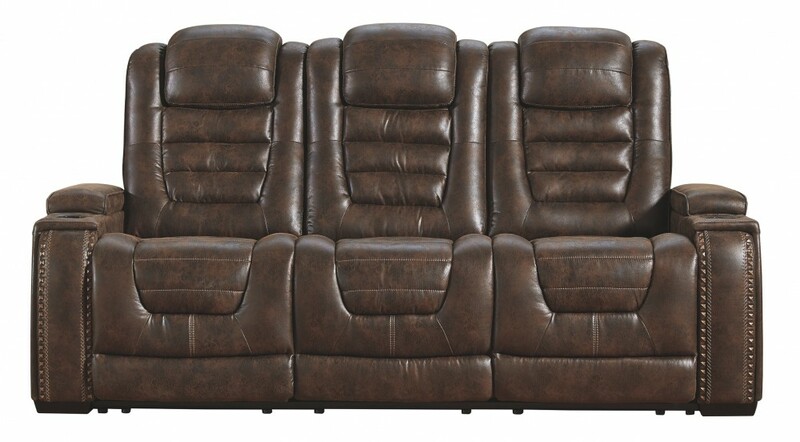 It’s so comfortable, no one will want to leave their seat. 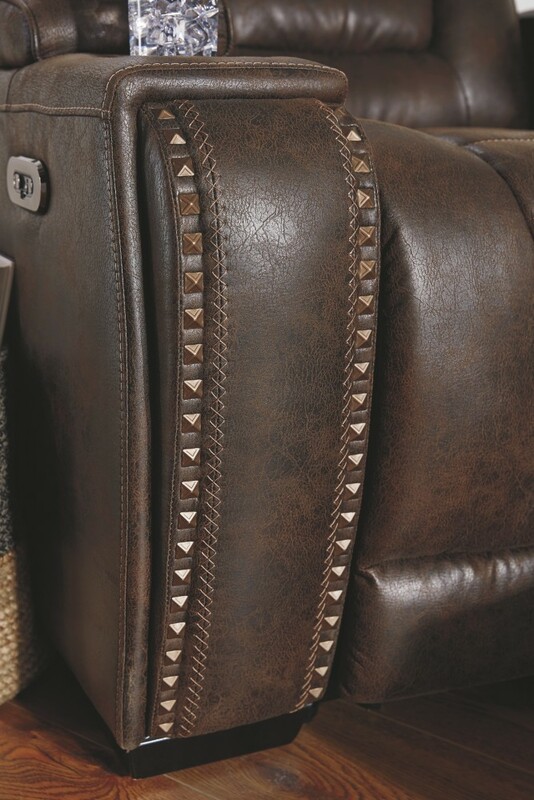 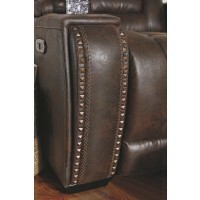 In a rustic tuck and roll polyurethane upholstery with cross hash stitching and nailhead trim, it has a rustic look. 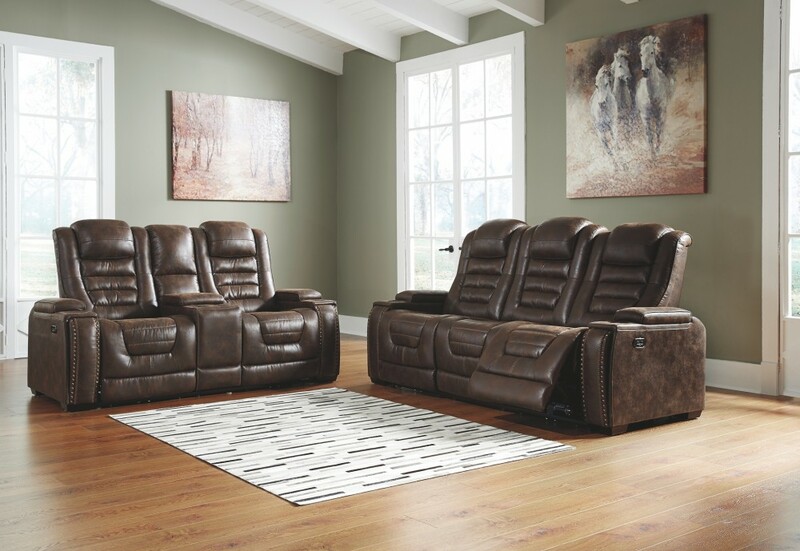 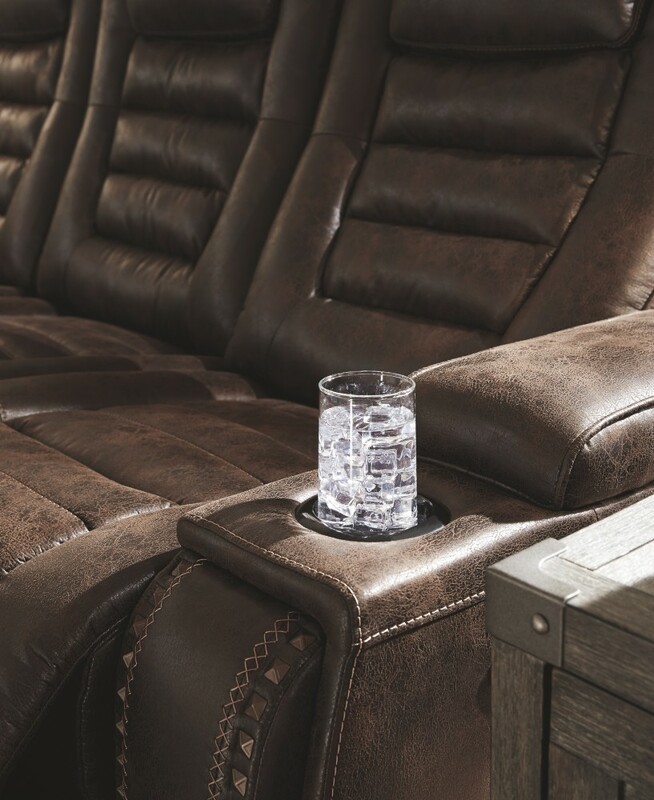 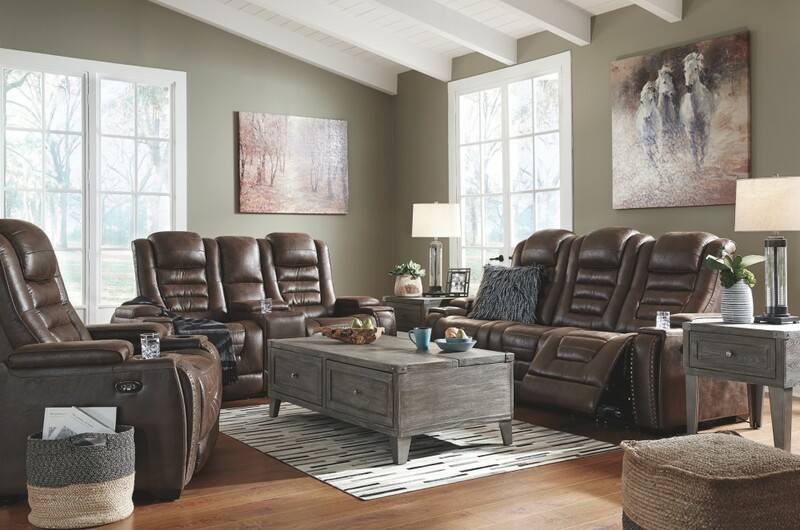 When it comes to comfort, everyone will love the reclining bucket seats and adjustable power headrests that provide personalized comfort for getting in on the action. 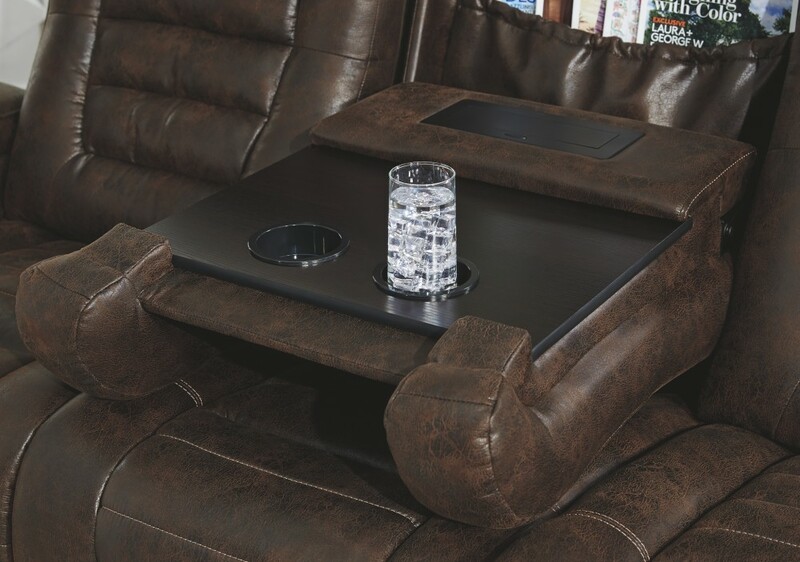 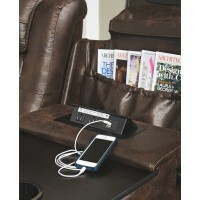 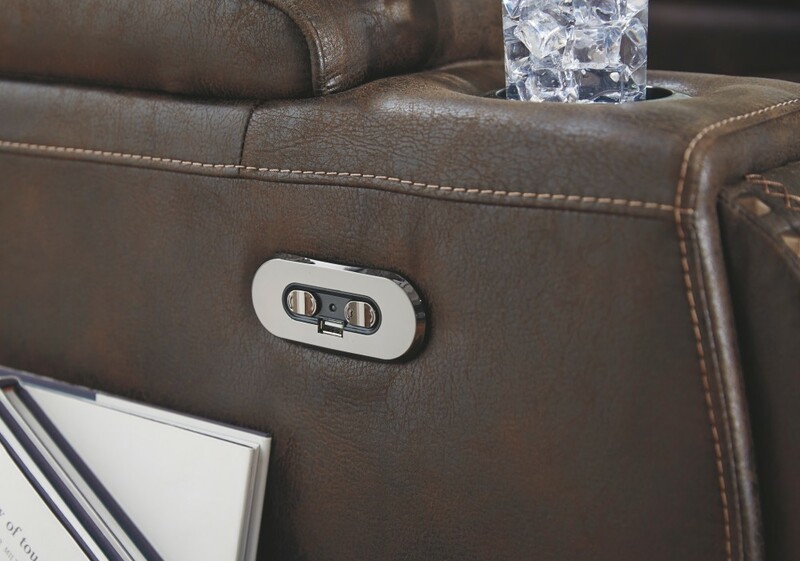 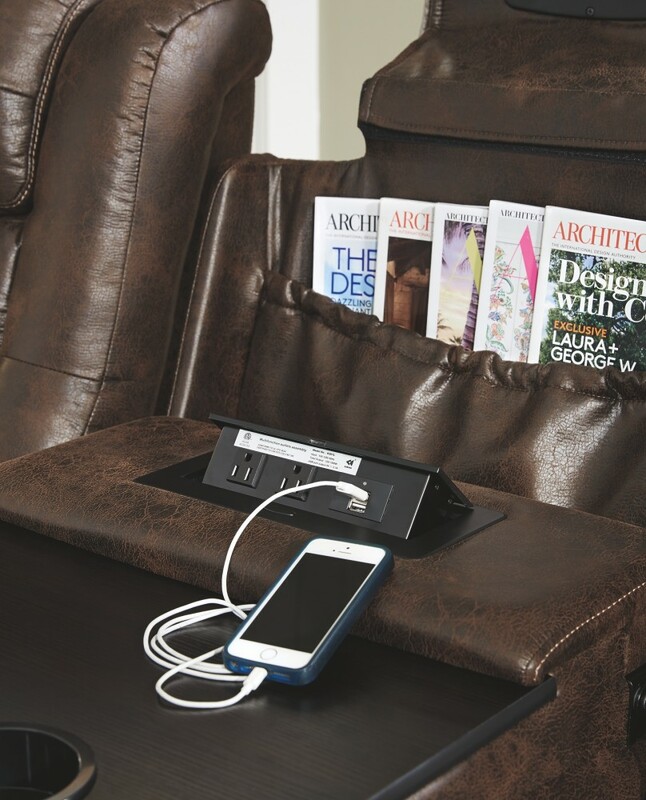 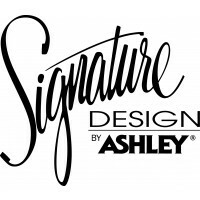 It's convenient too—sporting a center drop down table with docking station, cup holders, built-in power buttons with USB port on control panel and flip up padded armrests with hidden storage underneath them. 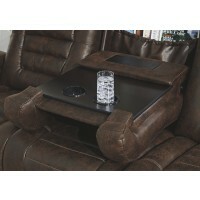 The center seat remains stationary or can be converted into the handy table. 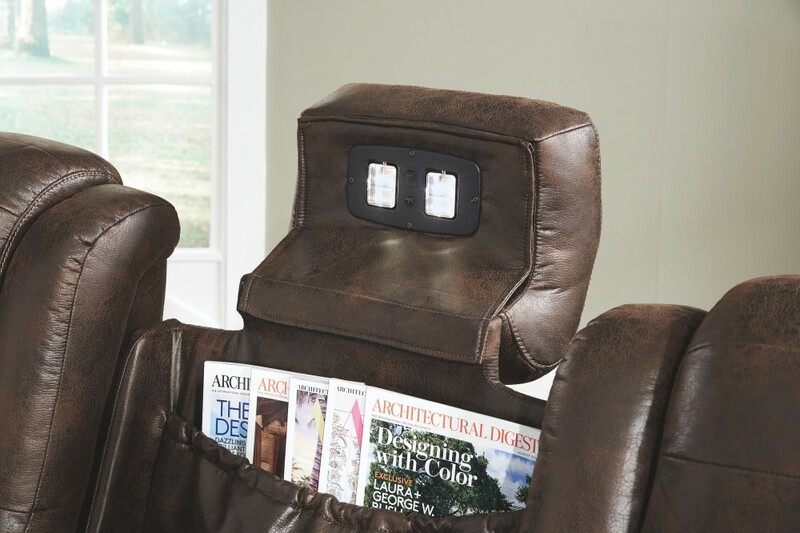 A flip up light is located under its headrest—what a way to create a paradise for gamers.